What is a Buchholz relay? How does it work? It is a normal fact that increase in load lead to decrease in the supply voltage. Hence the voltage supplied by the transformer to the load must be maintained within the prescribed limits. This can be done by changing the transformer turns ratio. The taps are leads or connections provided at various points on the winding. The turns ratio differ from one tap to another and hence different voltages can be obtained at each tap. 2. Adjustment of voltage based on change in load. 3. In order to control the real and reactive power. 4. For varying the secondary voltage based on the requirement. Taps may be principal, positive or negative. Principal tap is one at which rated secondary voltage can be obtained for the rated primary voltage. As the name states positive and negative taps are those at which secondary voltage is more or less than the principle tap. 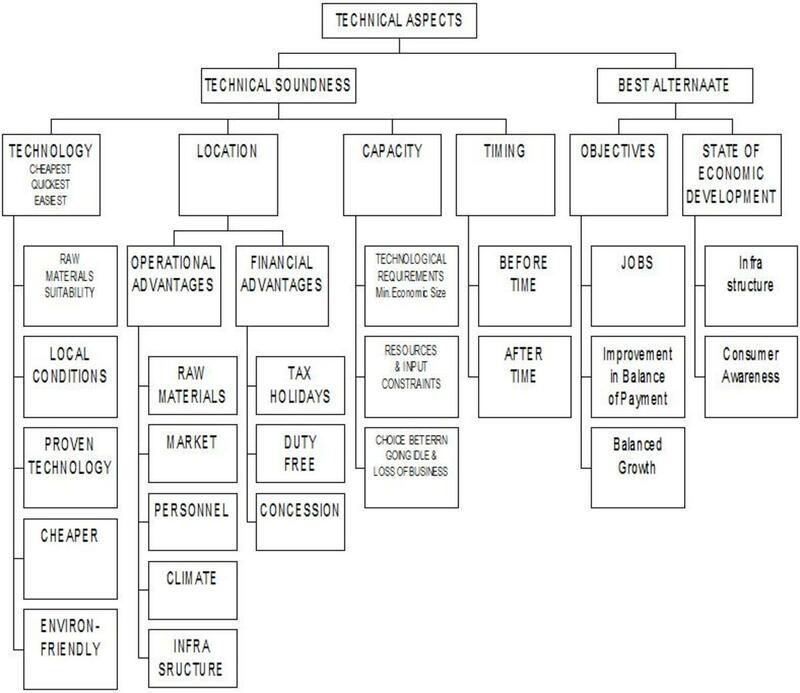 Taps are provided at the HV windings of the transformer because of the following reasons. 1. The number of turns in the High voltage winging is large and hence a fine voltage variation can be obtained. 2. 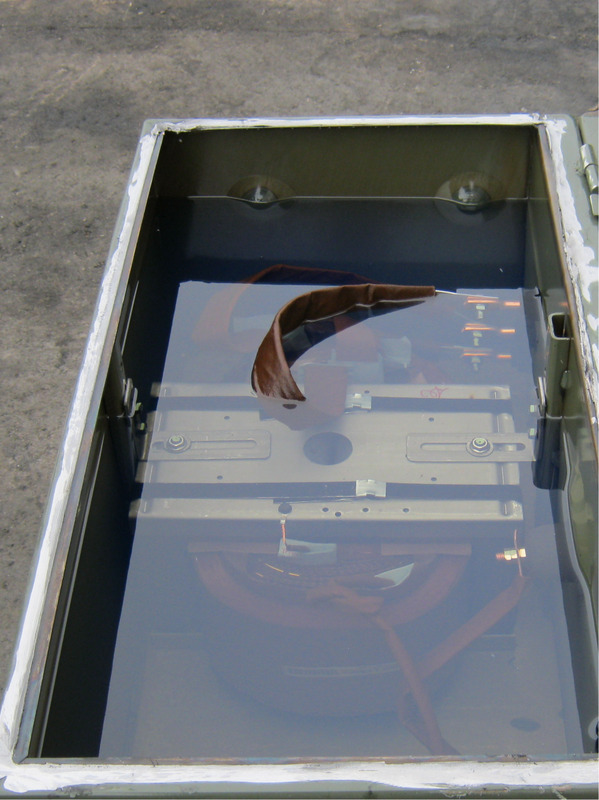 The current on the low voltage winding of large transformers are high. Therefore interruption of high currents is a difficult task. 3. LV winding is placed nearer to the core and HV winding is placed outside. Therefore providing taps on the HV winding is comparatively easier than that of the LV winding. The taps can be provided at the phase ends, at the neutral point, or in the middle of the winding. The number of bushing insulators can be reduced by providing taps at the phase ends. When the taps are provided at the neutral point the insulation between various parts will be reduced. This arrangement is economical particularly important for the large transformer. 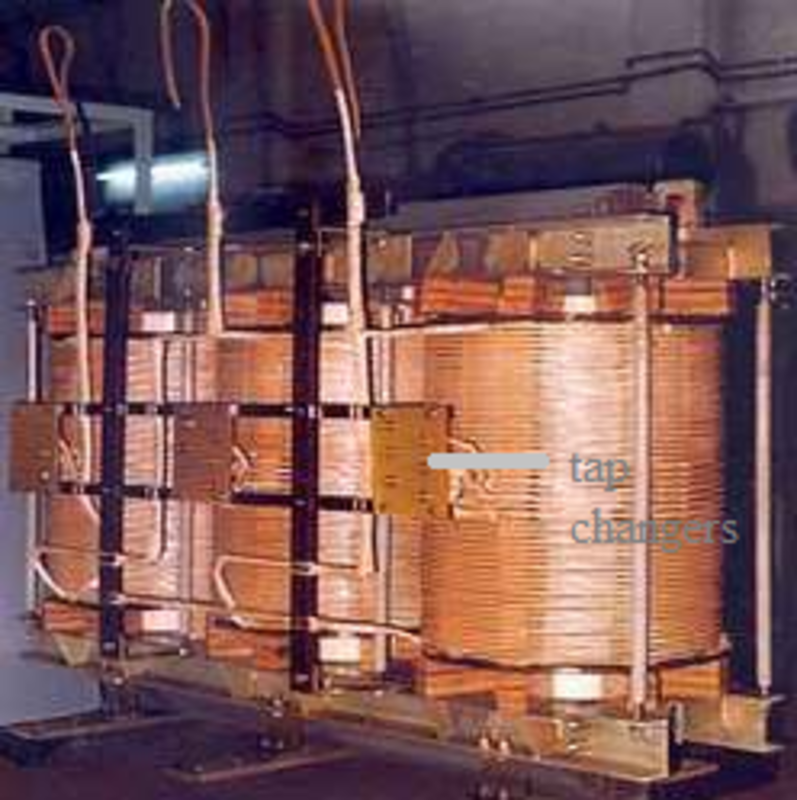 Tap changing causes change in leakage reactance, core loss, copper loss and perhaps some problems in the parallel operation of dissimilar transformer. There are two methods of tap changing. 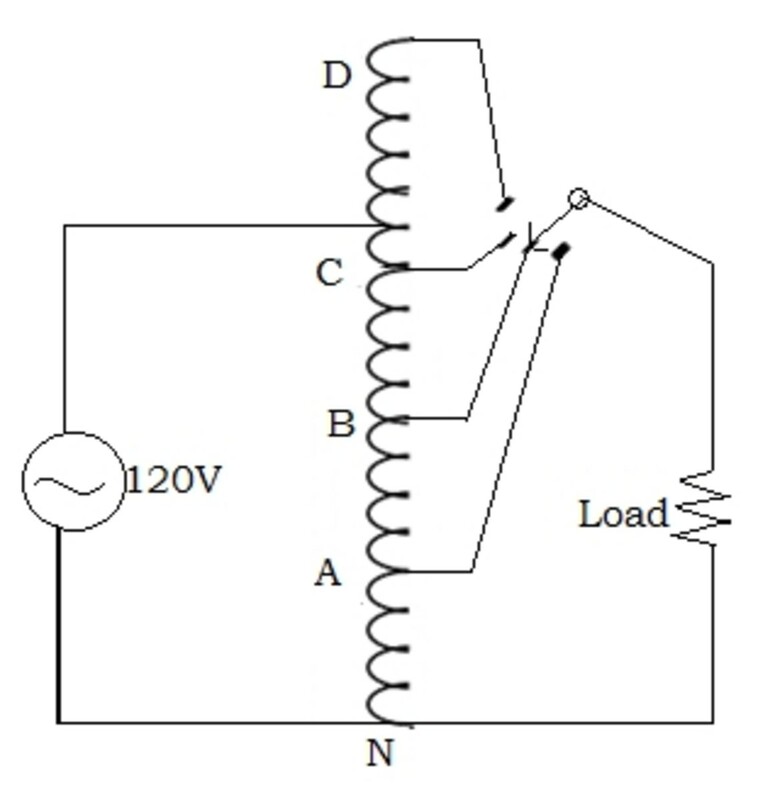 As the name indicates, in this method tap changing is done after disconnecting the load from the transformer. 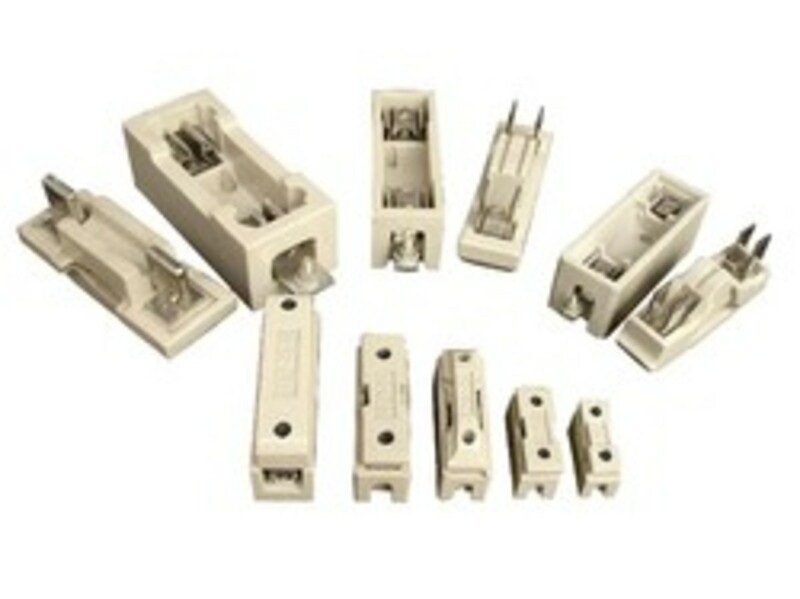 Off load tap changing is normally provided in low power, low voltage transformers. It is the cheapest method of tap changing. The tap changing is done manually though hand wheel provided in the cover. 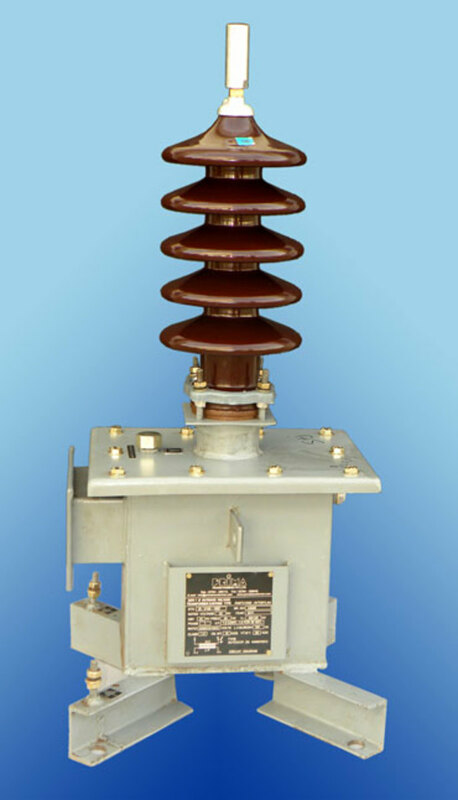 In some transformers arrangements to change the taps by simply operating the mechanical switches are also provided. The winding is tapped at various points. Since the taps are provided at various points in the winding single tap must be connected at a time otherwise it will lead to short circuit. Hence the selector switch is operated after disconnecting the load. To prevent unauthorized operation of an off load tap changer, mechanical lock is provided. To prevent inadvertent operation, electromechanical latching devices are provided to operate the circuit breakers and de-energize the transformer as soon as the tap changer handle is moved. On load tap changers are used to change the turns ratio without disconnecting the load from it. Tap changing can be done even when the transformer is delivering load. On load tap changers considerable increases the efficiency of the system. 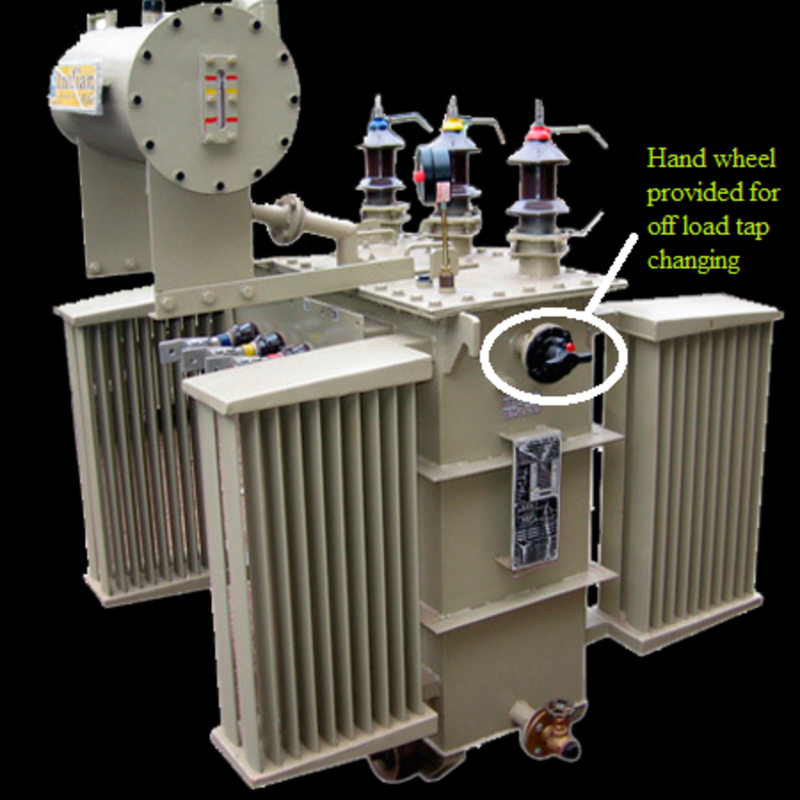 Nowadays almost all the large power transformers are provided with on load tap changers. 1. During the operation of on load tap changers the main circuit remains unaffected. 2. Dangerous sparking is prevented. The taps on the windings are brought to a separate oil filled compartment in which the on load tap changer switch is housed. The tap changer is a form of mechanical selector switch which is operated by a motor by local or remote control. A handle fitted for manual operation in case of emergency. 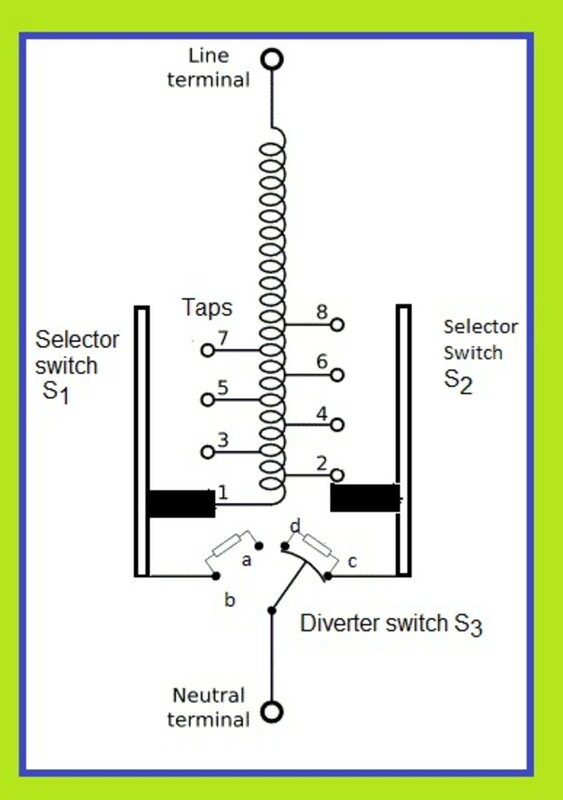 The selector switch is a form of make before break switch and during the transition of the tap changers from one tap to another, momentary connection must be made between the adjacent taps. This results in short circuit between the adjacent taps. The short circuit current must be limited by including resistor or reactor. Hence all forms of on load tap changer are provided with an impedance to limit short circuit current during tap changing operation. The impedance may be resistance or a center tapped reactance. In modern designs it is invariably carried out by a pair of resistors. 1. Contacts a and b are closed. The load current flows from tap 1 through contact b. 2. The external mechanism moves the diverter switch S3 from b, now load is supplied from contact a through resistor R1. 3. 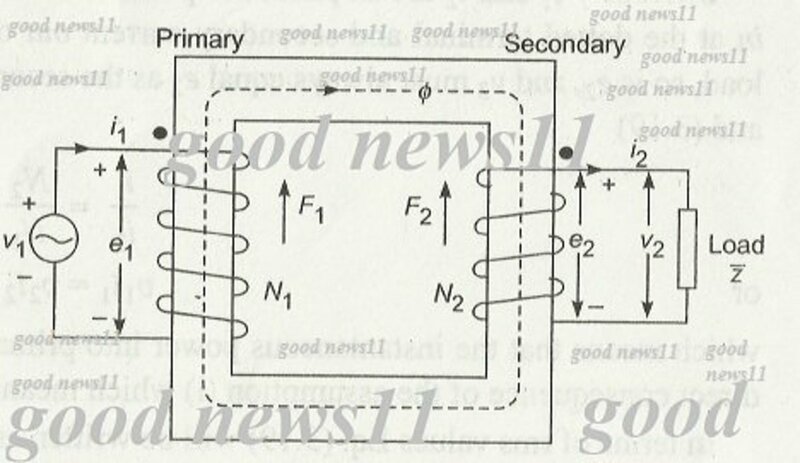 When diverter switch moves further it closes the contact d and both R1 and R2 are connected across taps 1 and 2 and the load current flows through these resistances to its mid point. 4. When S3 moves further to the left, contact a is opened and the load current flows from tap 2 through resistor R2 and d.
5. Finally the contact reaches the contact c and resistor R2 is short circuited. The load current flows from tap 2 through contact c.
Now to change the tap from 2 to 3, the selector switch S1 is first moved to tap 3 and the above steps are reverse. In order to limit the power loss it is necessary that the transformers are kept in the circuit for as minimum time as possible. More compact tap changers with high reliability and performance are being made by employing vacuum switches in the diverter switch.